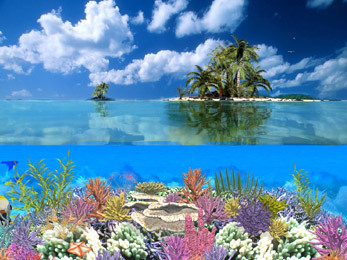 Doomsday Claim Validation/Falsification Test: Check the current amount of Coral in the world for 2011. If the coral has dropped by 40% or more or thereabouts the claim is validated and coral doomsday might have arrived, however if the level of coral in 2010 or after has not dropped as predicted the coral doomsday claim is falsified, null and void. Conclusion Regarding The Doomsday Claim: The 40% of World’s Coral Gone by 2010 Doomsday Claim is hereby FALSIFIED as the evidence doesn’t support the doomsday claim. Obviously the authors of the doomsday claim did NOT comprehend what is actually going on in the objective reality of Nature with regards to Corals in the Earth’s oceans and how they grow and die or what impacts their life cycles. Clearly Nature had other plans. Clearly they need to learn more before forecasting another coral doomsday event. Will Four corners now provide an update? Or will it leave this forecast of climate doom to go uncorrected? Across the world, coral reefs are turning into marine deserts. It’s estimated that more than a quarter have been lost and that 40 per cent could be gone by 2010. It’s almost unthinkable that Australia’s Great Barrier Reef – the world’s biggest coral edifice, 2000 kilometres long, home to 400 coral and 1500 fish species – could be headed the same way. But the pressure is on. No longer can Australians assume that the reef will be there for future generations to enjoy in all its current beauty and complexity. Human impact is closing in and there’s a burgeoning battle over conservation, livelihoods and, crucially, the science that tries to measure the risks to the reef. Four Corners explores the pressures on the reef from sugar, beef, shipping and fishing – and how these traditional industries are chafing against the multi-billion dollar tourism industry. Reporter Stephen McDonell tells how coral bleaching, driven by global warming, is wrecking reefs world-wide and how the Barrier Reef has, so far, emerged largely unscathed. It may not be so lucky in the years ahead. Then there’s a potential impact that no one in authority will acknowledge – oil. The Barrier Reef and its outskirts are thought to hold at least 5 billion barrels – Australia’s biggest reserve. The Government rejects any suggestion that the reef could be exploited for its oil, but exploration teams are quietly gathering data on what lies beneath the seabed. Stephen McDonell reports on the threats to one of the natural wonders of the world. Entry in Doomsday Claims Database by “pwl” of PathsToKnowledge.net. This entry was posted on April 17, 2011 at 8:39 pm	and is filed under Climate Science, Complex Systems, Debunking Bad Environmentalism, Doomsday Claim, Doomsday Claim Database, Doomsday Claim Falsified, Eco-Junk Science Terrorists, Eco-zombie Terrorists, Evil Walks the Earth and Carries a Big Stick, Get some perspective people, Green Religion, Hard Science, Holding those who run the world responsible for their crimes against humanity, Humbled by Nature, Ignorance to Knowledge, Proofs, Rational Thinking, Reality Based Environmentalism, Science over Propaganada, Something to think about, They got the math wrong!, Yikes! The sky is NOT falling!. You can follow any responses to this entry through the RSS 2.0 feed. You can leave a response, or trackback from your own site.